Twentyfive people from different parts in Sweden participated in the founding meeting and another 25 had written letters supporting the idea. Among the participants were representatives from the Swedish National Maritime Administration and some of the small local organisations which then existed in Sweden and worked with preservation and restoration of individual Lighthouses such as: Ursholmen, Väderöbod, Pater Noster, Måseskär, Vinga, Nidingen, etc. During a 5 hour meeting the founding members approved by-laws for the society and elected board members. 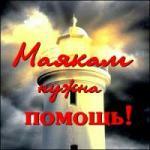 - To work for the preservation of Swedish Lighthouses, Lightstations and Lightships. individual Lighthouses and its people. The Society has been steadily growing since it was founded. With around 3.000 members (39% women) we are by far the per capita largest national lighthouse society in the world and the second one in number of members. There are presently around 40 local Lighthouse Societies in Sweden and we are very happy that all are members in our society as well as 50 governmental authorities, boat clubs, shipping companies and similar organisations. program committees which every year arrange around 30 lectures, meetings and visits to Lighthouses in different locations around Sweden. around 70 pages including: a list of all members, annual report, etc. So far more than 50 issues have been published. Year 2000 we wrote and published the popular (112 pages) “Fyrbesökshandbok” (Swedish Lighthouse Visitors Guide), printed in 5.000 copies. 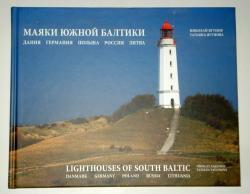 It describes in detail 86 earlier manned Swedish Lighthouses and their history. In 2005 we translated into Swedish and published probably the earliest report (De Pharis) about lighthouses in Sweden written in Latin at the University of Uppsala 1722. 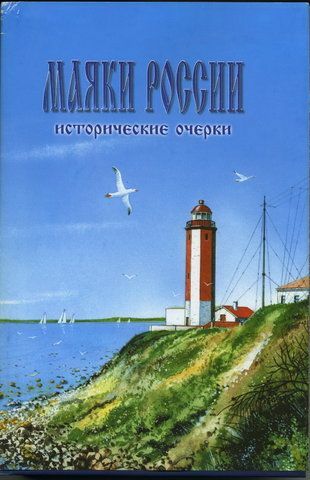 In 2007 we wrote and published an extended lighthouse book (315 pages) “Fyrhandbok”, printed in 10.000 copies. It describes 116 earlier manned Swedish Lighthouses, all Swedish Lighthouse Societies, Lighthouse technique, lenses, history, etc. In 2008 we published the first playing cards with Swedish Lighthouses on. In 2011 we published 6 different bookmarks with 2 Lighthouses on each. Our homepage www.fyr.org, which has been open since 1998, has been elected as one of the best educational ones in Sweden and it is also the most visited Lighthouse homepage worldwide. Since 2000 we have relighted earlier extinguished Lighthouses owned by among others the Swedish Maritime Administration. We have so far done this with 7 large earlier manned Lighthouses and about 10 smaller ones. All of these are now reinstated in the Swedish List of Lights listed as OCCAS lights. Every year since 2001 we have, at our Annual General Meeting in March, given a reward “VIPP of the year” to a person or organisation who has done something extraordinary for preserving Swedish Lighthouses. As a token of the achievement the winner receives a model of a VIPP (English word for VIPP is Swape light). We jokingly say that the letters VIPP is a short for Very Important Pharos Person. In 2001 we arranged the first Nordic Preservation Conference for Lighthouses ever. Many local lighthouse societies, all concerned authorities in Sweden and some from abroad participated during the three day conference. A Nordic preservation conference has since then been arranged by the National Lighthouse Societies of Norway (2003), Iceland (2006) and Finland (2009). Year 2002 we and some other interested countries/people, founded the World Lighthouse Society, WLS (www.worldlighthouses.org) and we are still a member of the board in WLS. The International Lighthouse Day in August every year is since 2002 a very active day in Sweden. We normally open more than 70 Lighthouses which during this weekend have 11.000 - 12.000 visitors. Another popular event started 2002 is to celebrate Lighthouse Birthdays (100, 150, 200, 250, 300, 350, 400, etc year). At a birthday we mount a commemorative plaque on the door of the Lighthouse, give a speech and celebrate the birthday. In 2008 we started a huge Lighthouse heritage project namely building an online database containing all persons who have worked as Light keepers (around 6.000) and their careers as well as their wives and children (around 14.000). It is possible to access the database via the family name (to get the persons career) or the name of the Lighthouse (to get all people who have worked on that particular Lighthouse). So far the database contains almost 5.000 people and one can access it via www.fyr.org, choose the English version and then click on in the text “Lighth.Keepers” in the left column. Lighthouses constitute an important part of the Swedish Maritime Heritage and must be preserved for future generations. The Swedish Lighthouse Society is therefore trying to establish a Swedish National Lighthouse Trust. The trust should successively take over and preserve all earlier manned Swedish Lighthouses and Seamarks worth preserving, interview people who has been working/living at Lighthouses, write down their histories, collect old Lighthouse photos and other documents and hopefully in the future establish a Swedish Lighthouse Museum. Our aim is to be the main founder of the trust together with concerned governmental authorities. We are making steady progress and are presently discussing all issues with the authorities. Our intention is to finance the trust via donations from companies and other sources. We are also having meetings every three month with the Swedish National Maritime Administration to discuss and agree on what they should do in order to save any possible redundant Lighthouse and how. The history of the Swedish Lighthouse Society has been very successful probably based on that so many volunteers are spending an enormous amount of time working for the society. During 10 consecutive years Swedish Lighthouse Society (www.fyr.org) has arranged the International Lighthouse Day/Weekend in Sweden. Year 2003 we had 2500 visitors to 33 Lighthouses, year 2004 we had 4500 visitors to 52 Lighthouses, year 2005 more than 6800 visitors to 57 Lighthouses, year 2006 more than 5000 visitors to 62 Lighthouses, year 2007 more than 5900 visitors to 63 Lighthouses, year 2008 more than 4600 visitors to 57 Lighthouses, year 2009 more than 9800 visitors to 72 Lighthouses, year 2010 more than 9000 visitors to 71 Lighthouses, year 2011 more than 12200 visitors to 72 Lighthouses and this year more than 11200 visitors to 74 Lighthouses. As usual during late August, some parts of Sweden had rain and very strong winds but there were also places with sun. Based on the weather it was impossible to visit some Lhs but we are still very happy that we had so many visitors. I myself was and celebrated Sandhammaren 150 years anniversary on Saturday and together with Ulla my wife we had to take over as guides on Morups Tånge (425 visitors) on Sunday where we were lucky and had great weather. The Swedish Lighthouse Society wants the International Lighthouse Day/Weekend to be celebrated in as many Lighthouses as possible and by as many people as possible in order for our authorities and people to realise how important it is to maintain and save our Lighthouse heritage for future generations and to keep the light of our Lighthouses shining. We have probably never earlier received so much press coverage in newspapers, radio and TV. This will of course help us in our discussions with the Swedish Government and in our efforts to found a Swedish National Lighthouse Trust. As usual the most visited Lighthouse was Kullen with around 1500 visitors, followed by Ölands Södra Udde 950 visitors, Bönan 800, Bjuröklubb 660, Vinga 600, Morups Tånge 425, Ölands Norra Udde 350, Hallands Väderö 328, Finngrundets Fyrskepp 300, Falsterbo 292, Malmö Inre 283, Fårö 255, Segerstad 250, Stavik 220, Hållö 203, Stora Karlsö 200, Svenska Högarna 187, Garpen 160, Örskär, Häradskär, Smygehuk and Hästholmen 150 each, Ulebergshamn 140, Tylö 130, När 126, Sandhammaren 119, Hammarö Skage 110, Grynge 107, Grönskär 102, Fotö 100, Utlängan 93, Utklippan 89, Arholma 83, Djursten and Nordkoster 75 each, Stenkyrkehuk 74, Gåsören 70, Storjungfrun 69, Bohus Malmön and Vanäs Udde 67 each, Rataskär 66, Nidingen 65, Brämön 62, Hoburg 61, Bergudden 56, Ingrunden/Utgrunden 52, Arkö 50, Gotska Sandön 43, Högbonden, Lungö, Agö and Nolhagen/Snappudden 40 each, Limö and Östergarnsholm 39 each, Måseskär 36, Bungeör 35, Ursholmen 32, Holmögadd 30, Väderöbod 28, Donsö huvud and Skalla 20 each and finally Rödkallen, Pite-Rönnskär, Stora Fjäderägg, Sundklubben, Söderarm, Huvudskär, Landsort, Hanö, Bråten, Malö, Valö and Pater Noster 0-15 visitors each as some of them could not open based on bad weather or repair of the tower. At the same time as we celebrated the International Lighthouse Day the radio amateurs arranged their Lighthouse radio weekend and transmitted from 22 Swedish lighthouses of which 12 were kept open by us. This means that 74 + 10 = 84 Swedish Lighthouses were open during the International Lighthouse Day/Weekend in 2012. Not bad!! We have received many positive reports from many visitors and all participating Lighthouses. Many different activities have also been arranged at different Lighthouses such as: quizz, music, theatre, local food cooking, barbeques, exhibitions, lectures, etc. We would like to express our big thank you to all local Lighthouse Societies, other societies, local authorities, many members and to the Swedish National Maritime Administration for all their help in making the weekend a success. If you want to locate a Swedish Lighthouse mentioned above please look at www.fyr.org , push the button “Fyrar” third from the bottom to the left, then push the first line “Svensk Fyrkarta ritad av Leif Elsby”. You can then click on any name on the map to get more info about that specific Lighthouse.